I recently had the opportunity to try 3 wonderful products by Sari Foods Company. I was excited to try these out as I'm always open to trying anything food related. I've tried all of these things in one form or another in the past but never have I had my own powder of spirulina and wasn't sure how I'd use it exactly. In Indonesian, the word "sari" means essence. At Sari Foods Company, their mission is to bring you the "Essence of Food”, empowering conscious consumers to return to nutrient dense, single ingredient, pure foods as our source of life and sustenance - just as nature intended. I truly love companies who want to better eating habits and health. The first product I tried was the Vitamin C. The easiest way for me to incorporate it was into my tea. You can ever so lightly taste a faintness of cherries. It blends well within the tea. I also tried it in my morning smoothie. Honestly, I didn't even know it was in there! What did I like about this Vitamin C from Acerola Cherries? 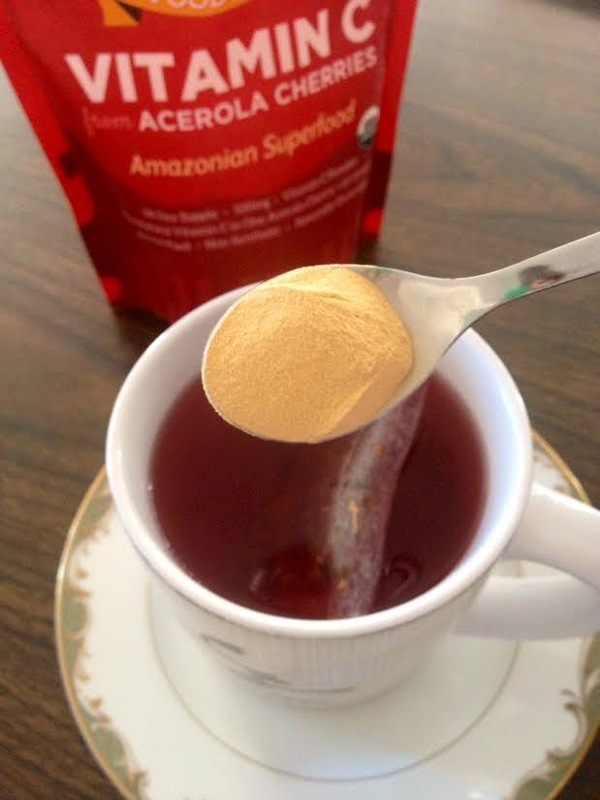 1 acerola cherry contains the same amount of vitamin c as 65 oranges! The next product I tried was the Nutritional Yeast Flakes. The flakes can be used on anything you'd like a little cheese flavor added to. I like to use nutritional yeast flakes on my salad and in most things that I would add salt to. Above I sprinkled the flakes onto my salad and it added the perfect zest of extra flavor. What did I like about the Nutritional Yeast Flakes? That these flakes contain fiber, protein and the fact that they contain 18 amino acids plus 15 minerals! The health benefits of the ingredients in the flakes. Boosts of iron, vitamin b plus more. The last product I tried was the Spirulina Powder. This powder is very concentrated! It has a faint smell but soon you'll learn how full of wonderful things this stuff is! 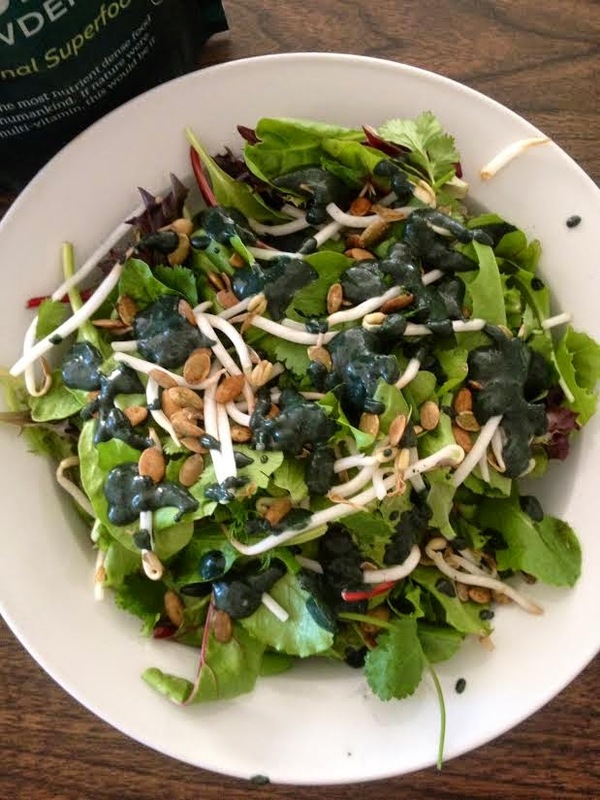 I mixed the powder into my favorite salad dressing and it truly enhanced the flavor. It worked well with caesar dressing. 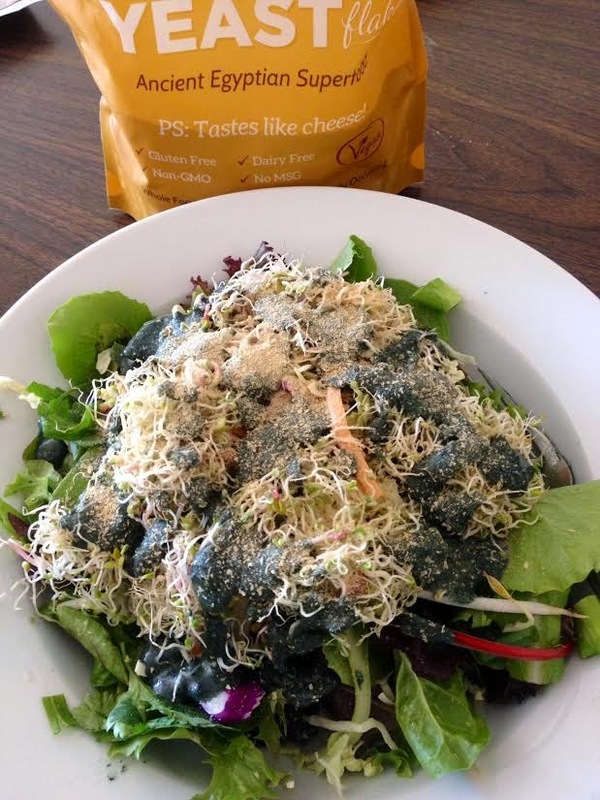 What did I like about the Spirulina Powder? It's packed with protein, calcium, amino acids, iron, beta-carotene, chlorophyll, antioxidants, folate, phytonutrients and prebiotics. I'm super happy I was able to try out all of these fabulous products! When you incorporate healthy ingredients into your daily diet, you feel AMAZING. All of these things help the overall well being of myself and my family. Thanks to Sari Foods Company for the opportunity to try out your goods. If you're looking to incorporate some amazing, jam-packed goodness into your diet, check these guys out!